There are 2 cat videos tagged with orange. 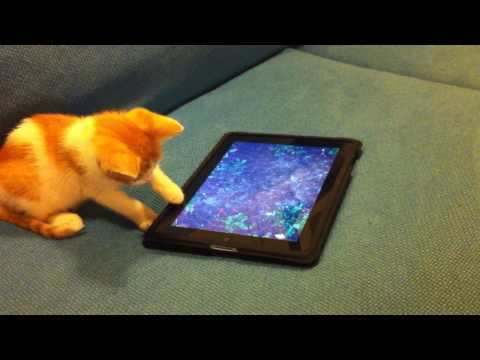 iPad games for cats have been around for a while and videos of cats playing with them are still adorable. In this video, a cute orange and white kitten tries to catch fish that are on the screen. It doesn't understand the concept, so the cutie tries to look under the iPad for the onscreen fish. 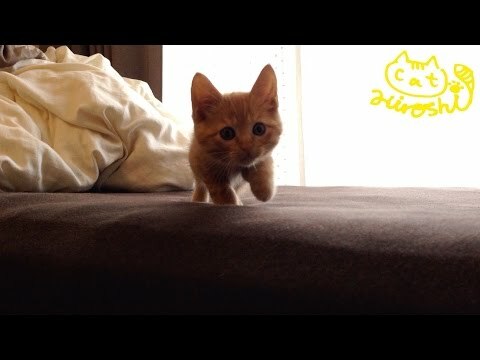 A tiny orange tabby kitten named Hiroshi is very cautious around the camera. He starts off in a blanket and very slooooowly makes his way over to the camera. Every time you think he's going to take a step, he fakes it and makes you wait a little longer.